It Takes a Man and a Woman is a 2013 Filipino romantic comedy film directed by Cathy Garcia-Molina and written by Carmi Raymundo. It is a sequel to two earlier films A Very Special Love (2008) and You Changed My Life (2009). 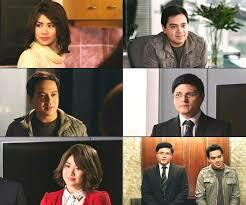 John Lloyd Cruz and Sarah Geronimo reprise their roles as Miggy Montenegro and Laida Magtalas respectively. The film is set two years after their break-up which occurred in a depicted flashback scene following events (not shown) in the preceding film.